We know that large amounts of money all over the world are kept elsewhere”, or “other where”, and go untaxed as Taxpayers fall short of complying with their tax obligation in their home jurisdictions. 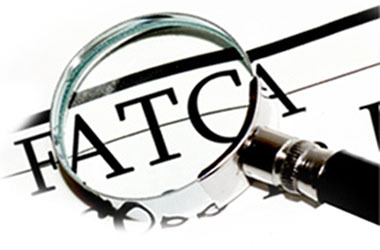 We also know that FATCA was established to fight tax evasion from U.S.A. individuals and entities via the use of foreign accounts. FATCA has a long reach and a substantial sign-up sheet. However, the U.S.A. is not the onlyjurisdiction looking for tax evaders. Tax evasion is a global problem. FATCA has served as the catalyst in propelling the Organisation of Economic Cooperation & Development (OECD) to introduce the Common Reporting Standard (CRS). Net net, the CRS will facilitate the automatic exchange of tax information between non-U.S.A. countries. The OECD is known for its quest to promote tax cooperation and improve all forms of information exchange — on request, spontaneous and automatic. Currently, there are 61 signatories that belong to the elite Early Adopters Group, and a total of 94 jurisdictions that have made the commitment to exchange information. The financial information to be reported with respect to reportable accounts includes all types of investment income (including interest, dividends, income from certain insurance contracts and other similar types of income), account balances and sales proceeds from financial assets. The financial institutions that are required to report under the CRS include banks, custodians, brokers, certain collective investment vehicles and certain insurance companies. It is clear that tax compliance is a global priority. Finding a place to hide is becoming increasingly difficult for those taxpayers that try to outsmart the authorities. FATCA is already 5 years old, alive and kicking. Electronic files have already been exchanged with the I.R.S. CRS has an implementation timetable of 2017 or 2018.